Throughout school and after graduation, Landon gained invaluable experience in Arkansas courtrooms. He clerked through an externship program for an Arkansas Supreme Court Justice, clerked for the governor’s office during the 2015 legislative session, and served as a prosecutor for more than a year. He’s briefed the governor on bills introduced by legislature, handled issues regarding pardons and gun rights in the Arkansas Clemency & Extraditions office, and worked through felony and misdemeanor cases in central Arkansas. Previously, Landon served as a deputy prosecuting attorney for the Fifteenth Judicial District of Arkansas, where he handled criminal and juvenile matters. I grew up and studied right here in Conway. Central Arkansas is my home, and I give back to my community by looking out for my neighbors. Landon has worked through more than 100 bench trials. 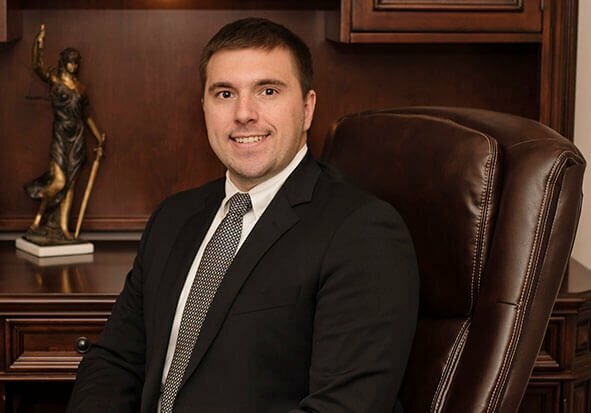 His extensive courtroom experience gives him an edge over other attorneys his age, and he uses this experience to inform the best course of action for his clients. Landon takes a hands-on approach to each of his cases, personally researching the details and finding creative solutions to the case at hand. His favorite part of his career is working one-on-one with his clients. He realizes that his clients are working through a highly stressful situation, and he feels no greater sense of accomplishment than relieving their stress and guiding them toward a better, more peaceful path. In his free time, Landon enjoys spending time with his family and friends, traveling, and watching football, basketball, and baseball games.